If you won the lottery today how would you choose to spend the rest of your life? Humanitarian efforts? Start a business you always dreamed of? Maybe just relax at a vacation home and watch the world pass blissfully by? If you didn’t have to work – what would you do? Because you see a great many windfall lottery winners struggle mightily after cashing their big check – many actually flounder and lose everything. Which takes me back to the question, if you didn’t have to work – how would you invest your life? Over 100 million Americans will go to their jobs today – because they don’t have that winning lottery ticket in their back pocket. Somewhere around 70 million of them don’t want to – but they will. They have bills to pay, families to feed, and dreams of a better life. So they will “fight the fight” – even though they are disengaged and apathetic. Those jobs, for most, will never evolve into a career. The harsh reality – the single greatest financial investment of our lives is the work we choose to do – the career we hope to build. The only ones that are eliminated from that are the aforementioned lottery winners, bank robbers, and trust fund babies. And yet many treat that career with the same degree of critical thinking that they might devote to their choice of craft beers or the Netflix movie they hope to watch on Saturday night. Three things distinguish those who cash out as winners in their career journey … but it’s up to you to actually think through how you realize each of them. Find PURPOSE behind what they do. Carve a Sense of Direction that marries purpose and challenges them to optimize first themselves, those around them, and then their company – and in that order. Purpose without direction is called a dream. Direction without a purpose is called a trek to nowhere. Cultivate a lifetime habit of assembling the practical tools for their journey – and that’s a collection that will grow with each new challenge. But if you could do what you really always dreamed of doing – how different would it be from what you’re paid to do now? For some, that very question should evoke careful thought. Which carries us back to the myriad of problems so many lottery winners must deal with – the apathy brought on by the abundance of riches also can rob us of the power of Purpose. And life without purpose is no life at all. 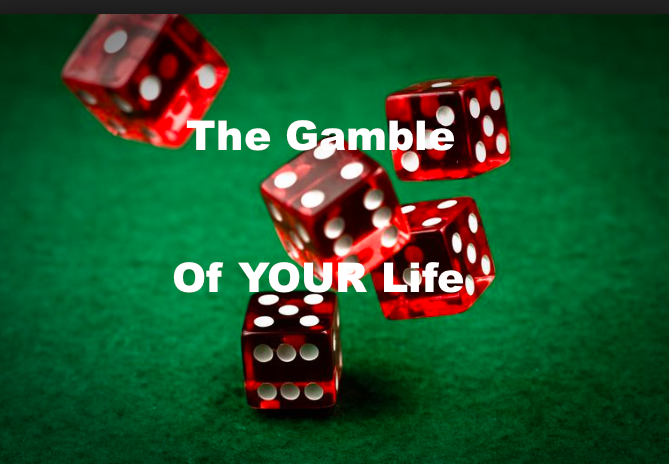 No roll of the dice – no matter how large the payout – can change that.